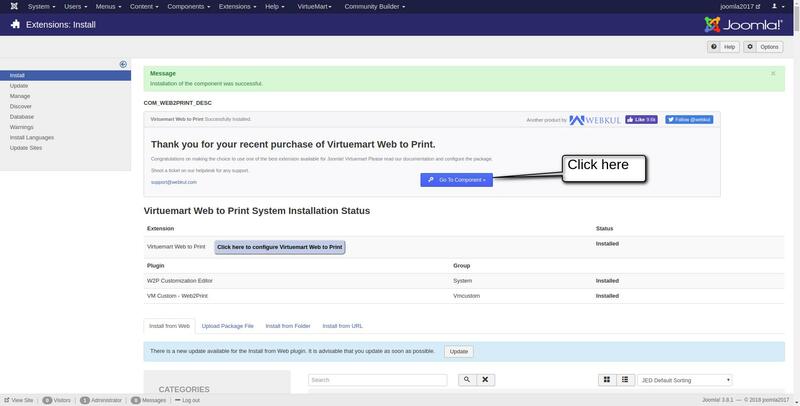 Browse the ‘Joomla Virtuemart Web To Print’ zip file and then drag and drop. 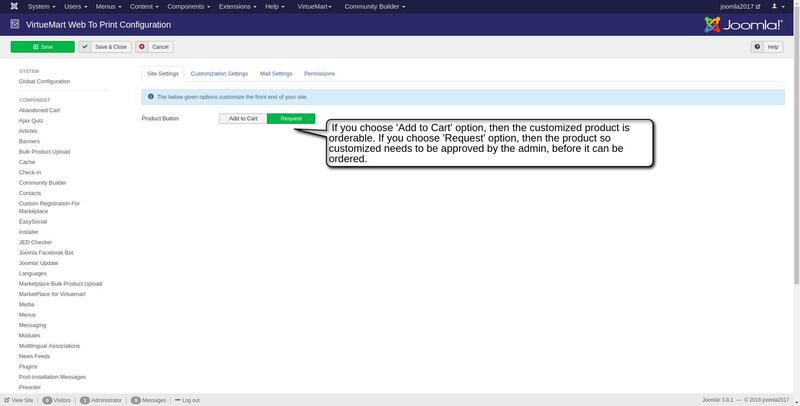 Here you need to do the configuration. 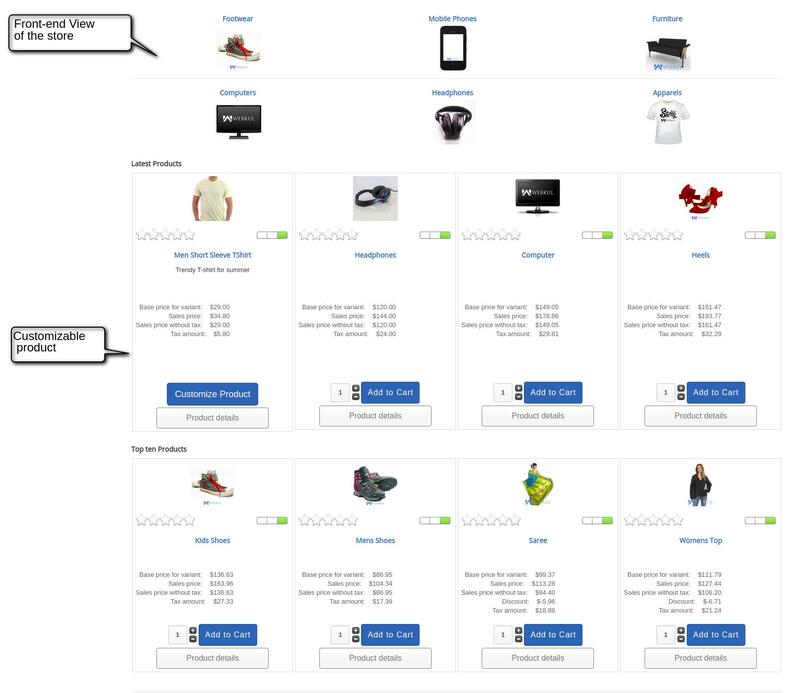 Customization zone: Given below is the tools for customization of products. 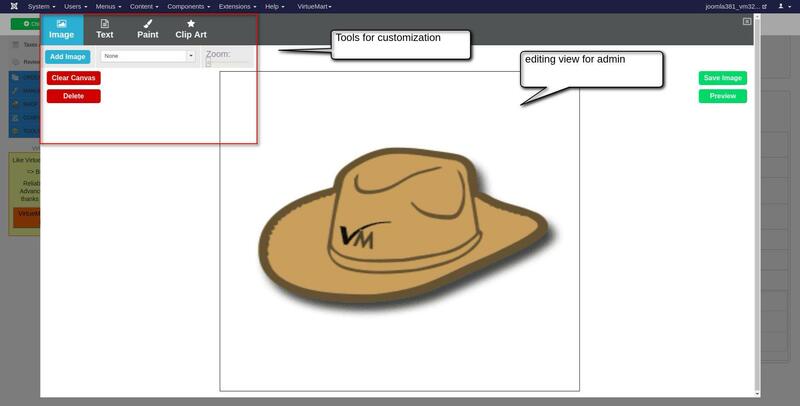 A user can add any image, text, can do paint or can use clip art. 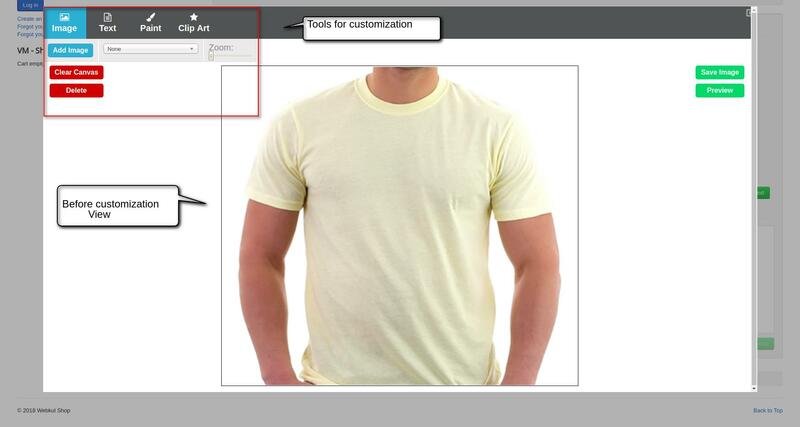 To delete any specific image you can click “Delete” button and clear the whole images by “Clear Canvas”. 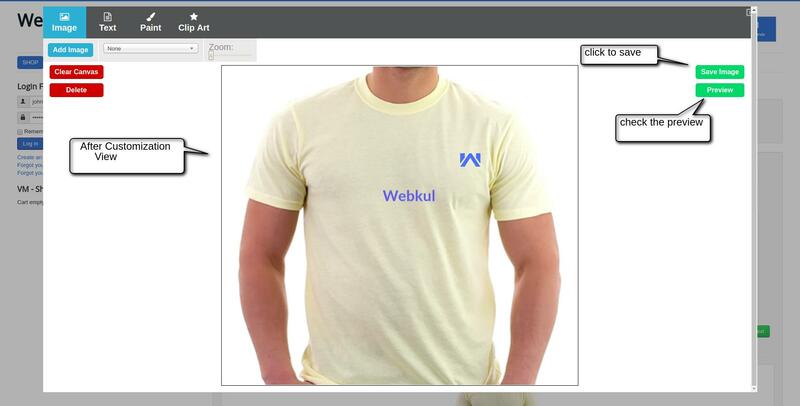 This is front end view, here buyers(shoppers) can see the customization option at the store-front. 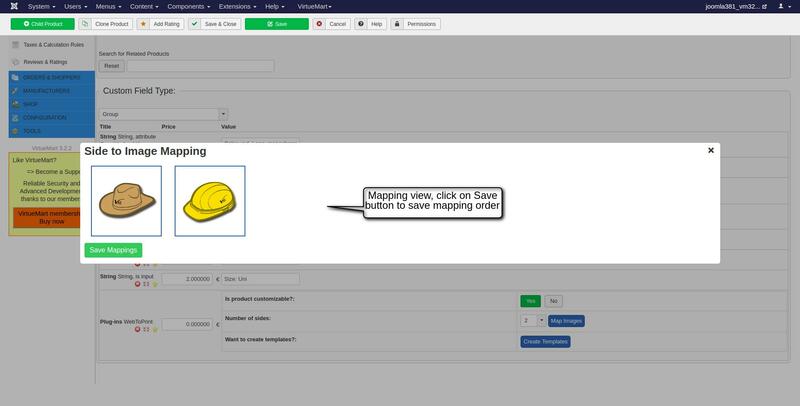 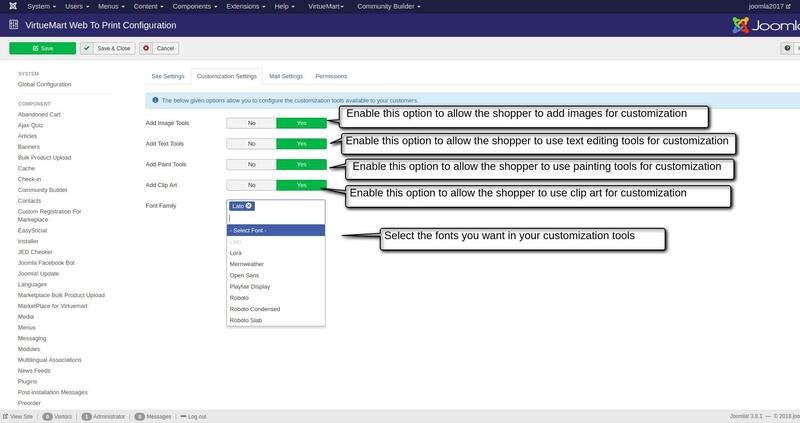 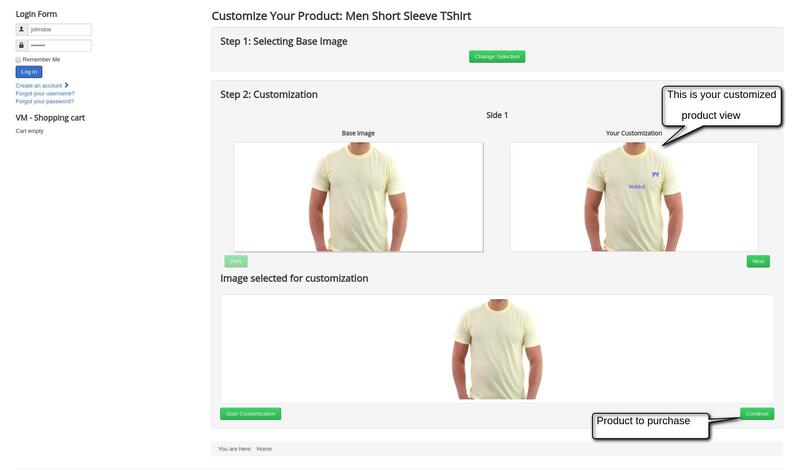 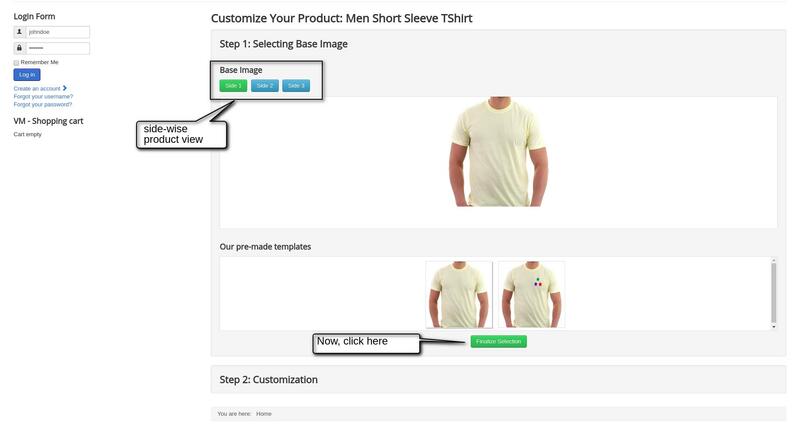 Buyer can select the customizable product and proceed to customize the product according to his/her wise through the “Tools for Customization” option. 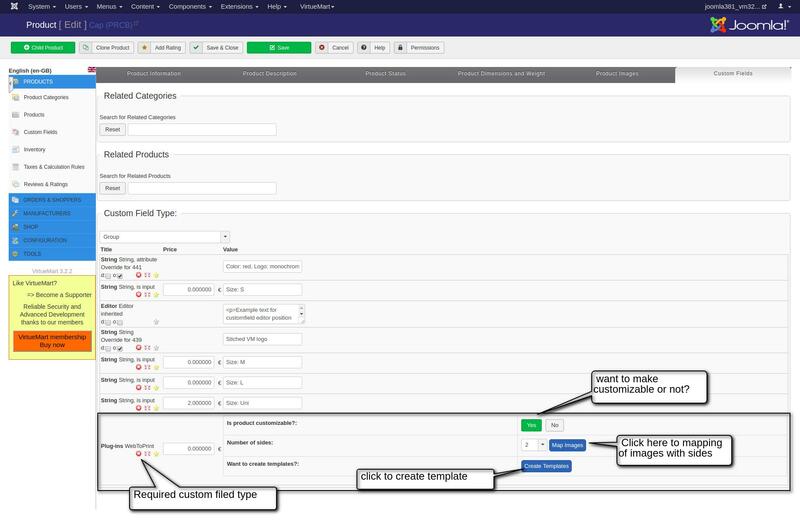 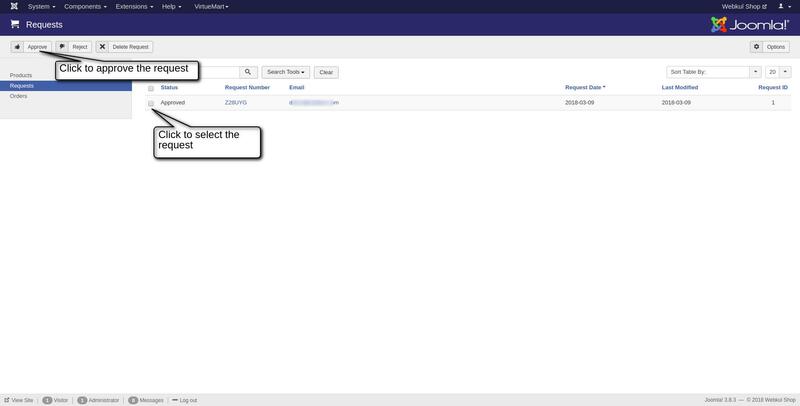 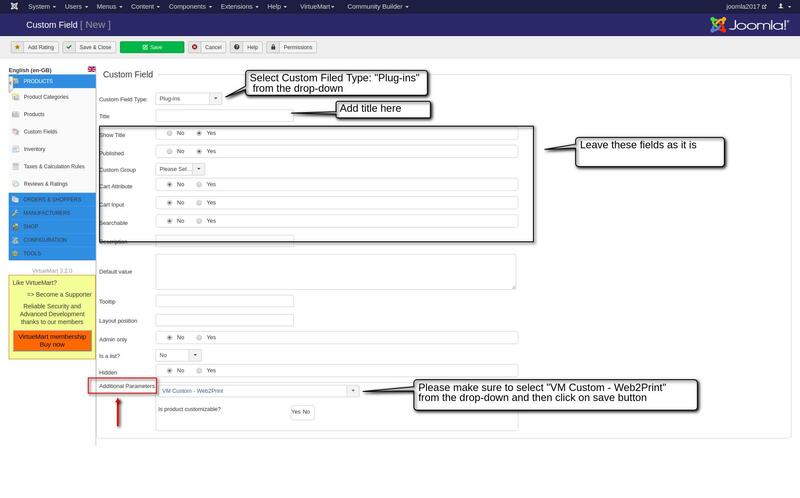 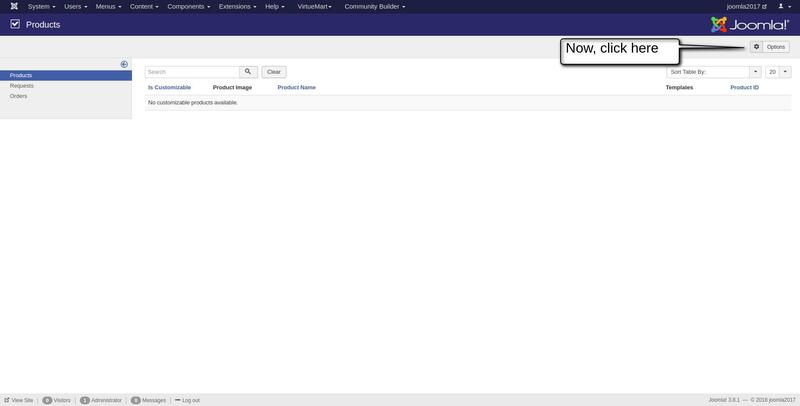 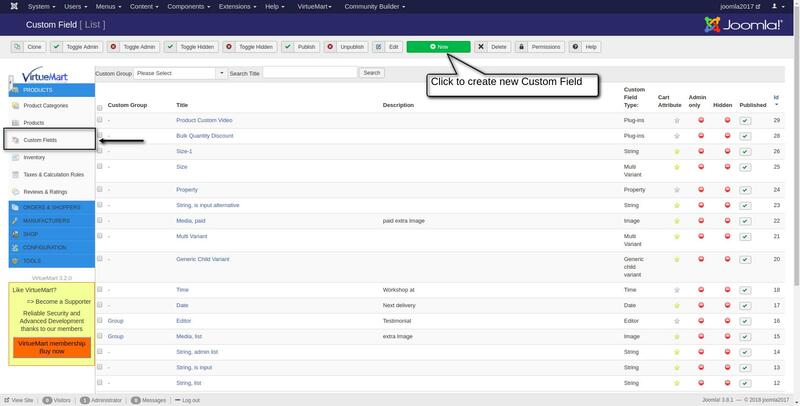 A very simple editor view is given for both admin and buyer. 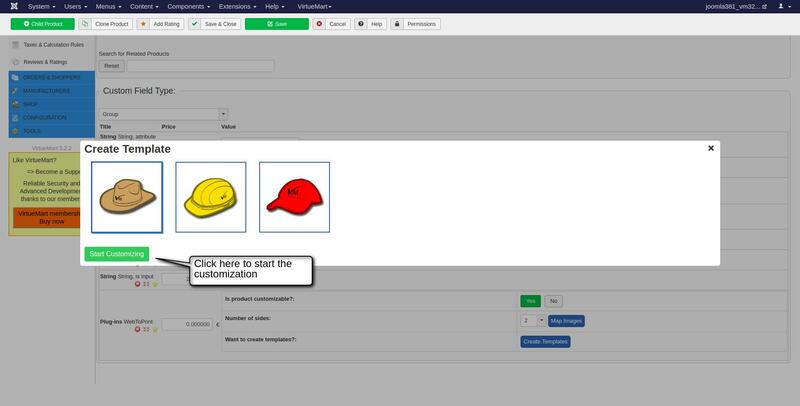 Important: No need of any technical knowledge to use the tools for customization, It is very simple to use. 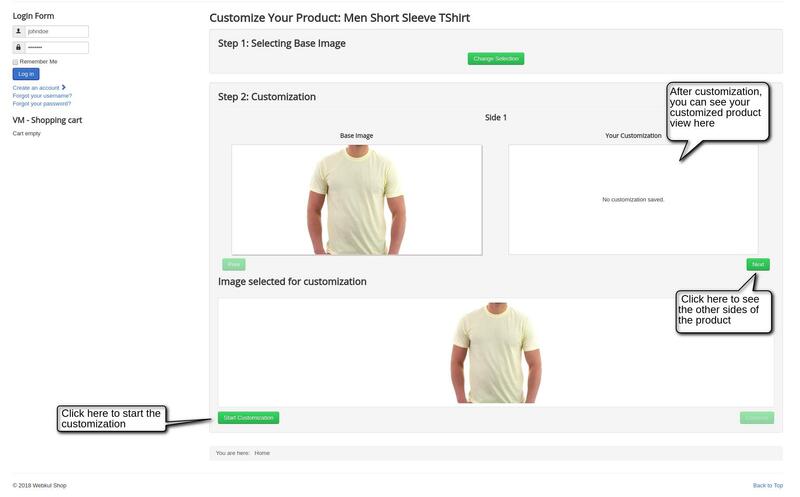 Please Note: Here as you can see shopper has to make a request to the admin first to get the customized product since at the back-end admin has set Product Button “Request” if admin set “Add To Cart” then a buyer can directly proceed to checkout. 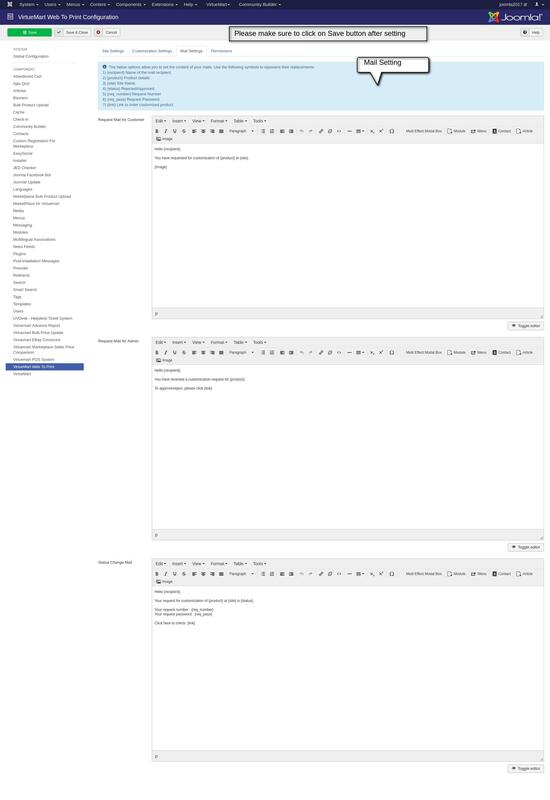 Back-end view, here admin can see the list of request. 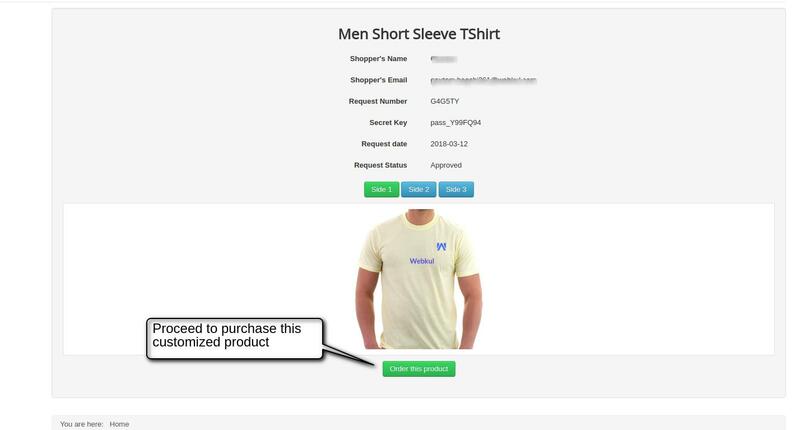 Once admin approves the request then the buyer will get an email confirmation along with Request No and Password to proceed to purchase the customized product.